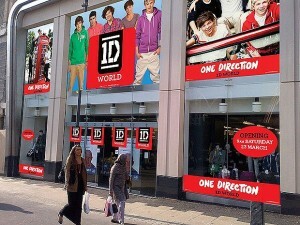 One Direction have announced that fans will get a chance to enter their very own 1D World in their brand new pop-up shop. The store – which measures over 5,000 square feet will open it’s doors in Leeds on Saturday March 23 – and will sell exclusive never seen before merchandise. One offer will be life-size cardboard cut-outs of the boys, phone cases, t-shirts and even the 1D Onesie. There will also be competitions and special offers run in the branch which is certain to see fans flocking from around the country to get involved in the action. 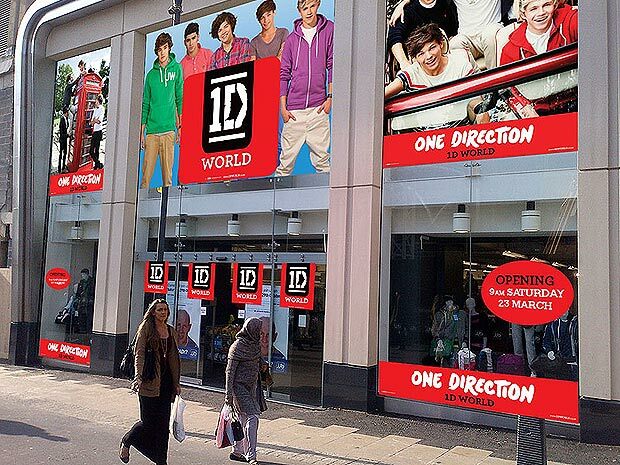 The 1D World chain has already seent housands pass through its doors in global locations including New York, Sydney, Brisbane, Toronto, Vancouver, Chicago and Stockholm. ← Harry Styles New Tattoo – see it here!